Tan Sri Anthony Francis "Tony" Fernandes ( Twitter: tonyfernandes‎ ) , born 30 April 1964; is a Malaysian Indian entrepreneur. He is the founder of Tune Air Sdn. Bhd., who introduced the first budget no-frills airline, AirAsia, to Malaysians with the tagline "Now everyone can fly". Fernandes managed to turn AirAsia, a failing government-linked commercial airline, into a highly successful budget airline public-listed company. He was also instrumental in lobbying the then-Malaysian Prime Minister, Tun Dr. Mahathir Mohamad in mid-2003, to propose the idea of open skies agreements with neighboring Thailand, Indonesia, and Singapore. As a result, these nations have granted landing rights to AirAsia and other discount carriers. Fernandes was born in Kuala Lumpur to an Indian father (a physician, originally from Goa) and Portuguese-Eurasian mother, Ena Dorothy Fernandes of Malacca, Malaysia. Tony was admitted as Associate Member of the Association of Chartered Certified Accountants (ACCA) in 1991 and became Fellow Member in 1996. Upon his return to Malaysia, he became the youngest managing director of Warner Music (Malaysia) Sdn Bhd. As well as being an accountant, Fernandes is an amateur guitarist and also has achieved grade 8 piano which is where his musical inclination lies. He subsequently became the South East Asian regional vice-president for Warner Music Group from 1992-2001. When Time Warner Inc announced its merger with America Online Inc., Fernandes left to pursue his dream of starting a budget no-frills airline. However, his application for a license from the Malaysian government was rejected. Instead of starting from scratch, Mahathir advised Fernandes to buy an existing airline instead. AirAsia, the heavily-indebted subsidiary of the Malaysian government-owned conglomerate, DRB-Hicom, was quickly losing money. Fernandes says his timing was in fact perfect: after 11 September 2001, aircraft leasing costs fell 40%. Also, airline lay-offs meant experienced staff were readily available. Fernandes estimates about 50 per cent of the travelers on Asia’s budget airlines are first-time flyers. The company grew from two planes in 2002 to a fleet of 86 aircraft flying 30 million people around the world. After the success of Air Asia's short-haul flights he expanded into long haul journeys with a new airline, Air Asia X. The result was two separate companies, one dedicated to low cost short-haul flights, the other focusing on long-haul routes. Despite this, the two airlines utilize a similar modus operandi: efficiency is key to keeping up with demand and ensuring a healthy profit-margin. In 2007, Tony Fernandes started a hotel chain, Tune Hotels, based on the no-frills concept. The first Tune Hotel was opened in the heart of Kuala Lumpur. The Caterham Group is home to a range of cutting-edge automotive, motorsport, technology and specialist engineering companies that sit within a single group business under the stewardship of Group Chairman Tan Sri Tony Fernandes. Fernandes is the founder of the Caterham F1 Formula One team, which began racing in 2010 as Lotus Racing and raced in 2011 as Team Lotus. On 16 December 2009, Fernandes accepted a "challenge" from Richard Branson, a fellow airline boss and the owner of Lotus' fellow F1 newcomers Virgin Racing. Fernandes joked "The sexier the better. 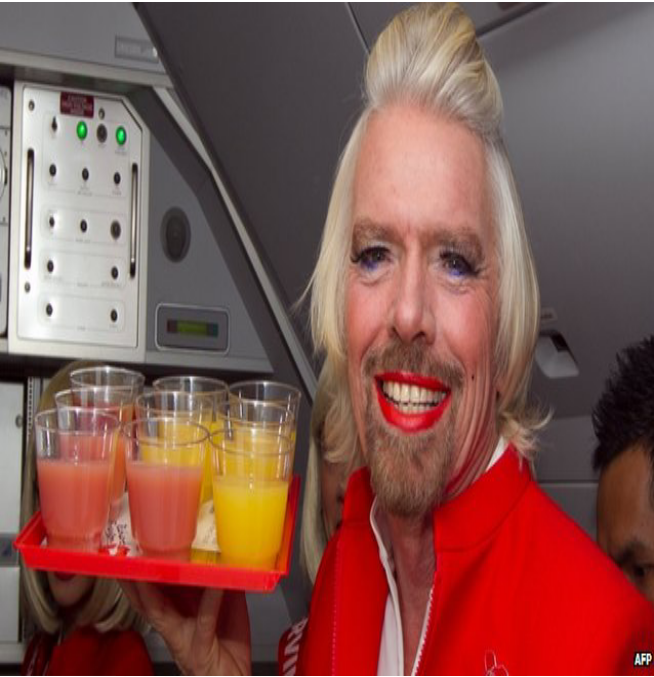 On 19 December 2012, Fernandes announced that Branson would honour his bet in May 2013. Branson ultimately honored the bet on 13th May, 2013. Caterham Racing, also created by Fernandes, competes in the GP2 Series. On 27 April 2011, Fernandes announced that his company had purchased Caterham Cars. Fernandes is a fan of English club West Ham United. Fernandes has been involved in talks concerning a takeover at West Ham United. In May 2011, Fernandes was linked with a buying a share in the club. On 1 June 2011, his Twitter feed stated that he had made an offer to the West Ham board, although David Sullivan and David Gold later rejected this offer. On 18 August 2011, he was unveiled as the majority shareholder of Queens Park Rangers, having bought Bernie Ecclestone's 66% share. In March 2012, Tony Fernandes Served on the International Advisory Board of Global March to Jerusalem, which aims to "mobilize the international community in solidarity with Palestinians and to protect Jerusalem.". A Joint Statement was issued, signed by the various members of the Board, including Fernandes. Fernandes' biggest achievement has been to turn the AirAsia airline into an international carrier. Before the creation of AirAsia, countries in the region did not have open-skies agreements. In mid-2003, Fernandes' lobbying pushed Dr Mahathir to raise the idea with the leaders of neighbouring Thailand, Indonesia, and Singapore. As a result, those nations have granted landing rights to AirAsia and other discount carriers. Fernandes opened up the budget carrier sector in the region. In Thailand and Indonesia, AirAsia holds a minority stake in the respective local companies. PT Awair, re-launched as a low fare airline on 8 December 2004 and subsequently renamed Indonesia AirAsia, presently serves 5 domestic destinations in Indonesia. In 2013, Forbes Asia valued Fernandes' personal wealth at $625 million ranking him at number 20 on the Forbes list of Malaysia's Richest. Compared to 2012, his personal wealth at $615 million ranking him at number 15 on the Forbes list of Malaysia's Richest.